There's a celestial treat in store for Oamaruvians on Saturday night - but be quick, writes Ian Griffin. In the three and a-half years I have been writing about astronomy for the ODT, I’ve tried to encourage readers to head out under the stars to enjoy celestial events visible across Otago and which might take several hours to play out. For example, who can forget the amazing pre-dawn lunar eclipse back in July, or some of the night-long auroral displays which have graced our sky. This week is a little different. That’s because I am going to draw your attention to something that will last much less than a second and only be visible from a very specific location. Indeed, as you can see from the accompanying map, the intriguing celestial occurrence I want to focus on this week can only be seen from a very narrow path passing over the beautiful town of Oamaru. 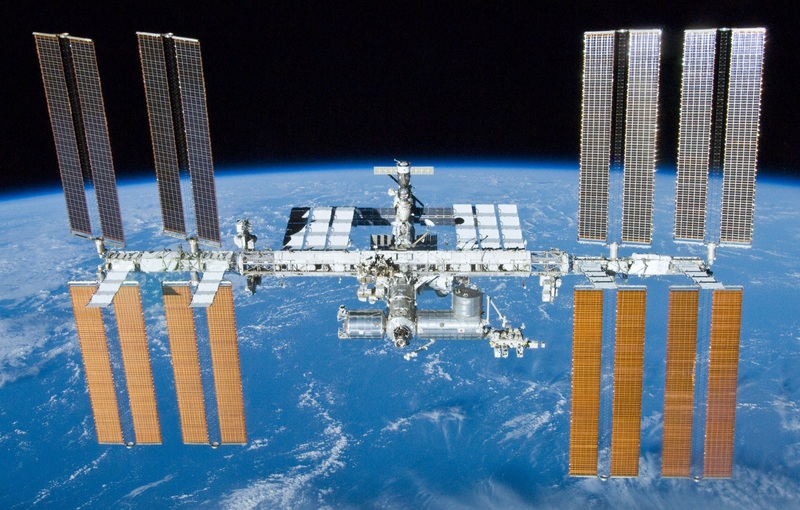 At 49 seconds past 10.27pm on Saturday, if you are near the middle of Oamaru, the International Space Station will cross the moon, taking 0.63 seconds to do so. Because the sun has set, the space station won’t be illuminated, and will therefore be seen in silhouette against the bright lunar surface. Of course, the space station will look much smaller than the moon, but if you do have good eyesight, even a pair of binoculars will allow you to see the space station’s large solar arrays during the satellite’s brief passage across the moon. I have to say that I’m so excited by this event, that if the forecast is good, I will be driving up from Dunedin and setting my telescope near the car park in Wansbeck St, with the aim of photographing the transit for posterity. A 260km round trip to see something that lasts less than a second is certainly not to be frowned at! 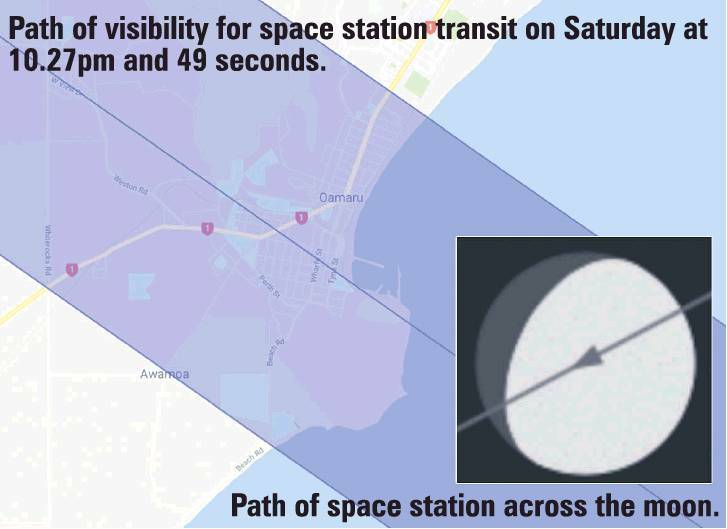 While this Saturday evening’s transit is most probably of interest only to Oamaruvians, there’s actually a very good website called transit-finder.com which allows you to enter a location and find out if the space station will be crossing the moon (or the sun) over the next 30 days.